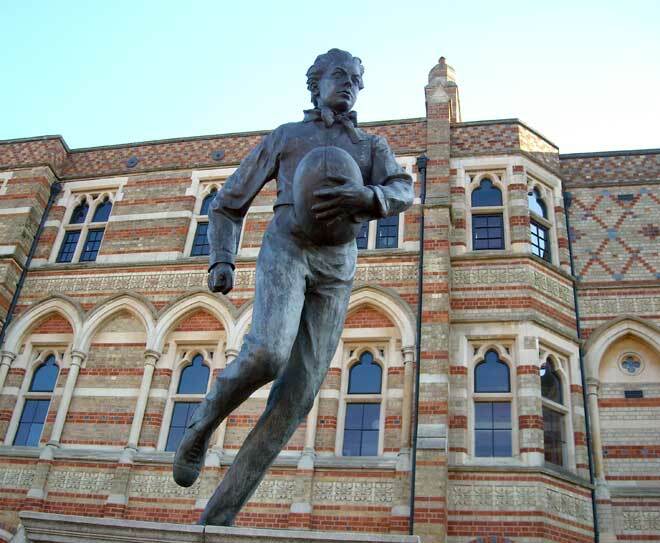 This statue of William Webb Ellis is at Rugby School, England. The plaque claims that Ellis was the first to run with the ball, initiating the element that distinguishes rugby football from association football (soccer). There is little historical evidence to support this claim, which became a founding myth of rugby union. The trophy for the Rugby World Cup is called the Webb Ellis Cup.